Rumex crisp is useful in Cough with a tickling in the pit of the throat and behind the sternum. Cough barely relieves tickle, long episodes of dry, teasing, hacking, fatiguing cough , little expectoration. tenacious mucous, cough on going from warm room to cool air, cough prevents sleep. It is a remedy for extreme sensitivity to cold air. The inspiration of cold air is therefore the provocative factor for the disease of the upper respiratory organs, calling for this remedy. The affinity of Rumex is mainly to the mucous membrane of larynx, and the traches and bronchi. 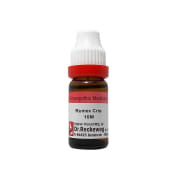 Typical complaint for Rumex is the dry, incessant, violent and non-productive cough which is excited by tickling behind the sternum and is severely aggravated by exposure to cold air. 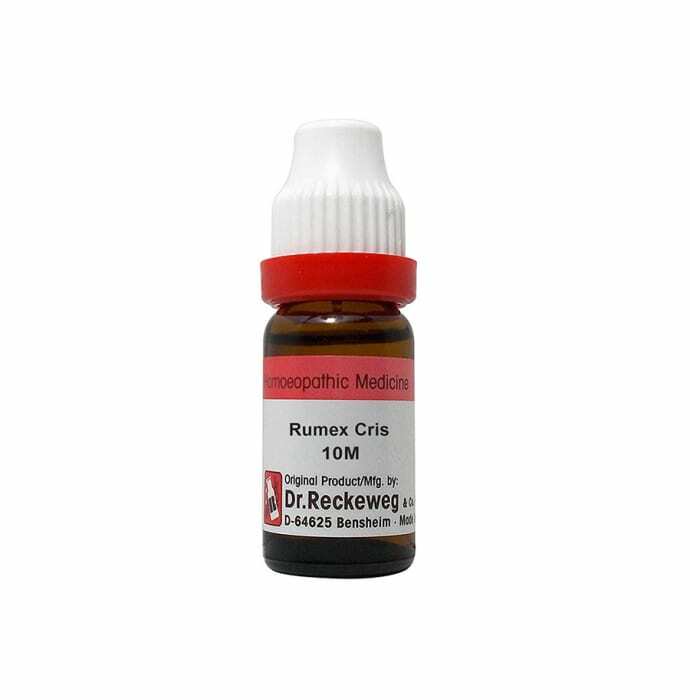 A licensed pharmacy from your nearest location will deliver Dr. Reckeweg Rumex Cris Dilution 10M CH. Once the pharmacy accepts your order, the details of the pharmacy will be shared with you. Acceptance of your order is based on the validity of your prescription and the availability of this medicine.